This past weekend I, along with a select group of Black journalists and publishers from around the country were invited by General Motors (GM) Diversity team, to test drive the brand new 2017 Buick LaCrosse. 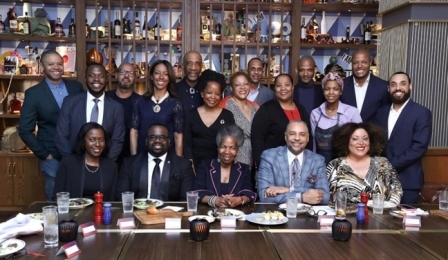 The special guests included, founder of World of Wilbekin #WOW, Emil Wilbekin; writer and editor, Kimberley A. Hines; television journalist, Jarret Hill; Dallas Post writer and television producer, Ester Davis; Howard University managing editor, RuShawn Walters; senior writer for Diversity Inc. Sheryl Estrada and award winning journalist, Ed Gordon. 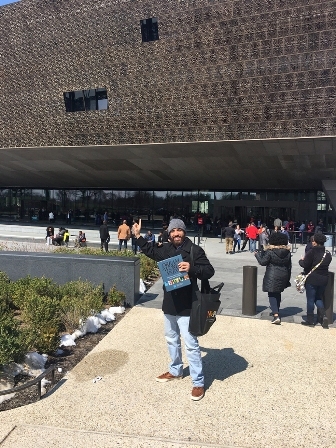 The event titled the “Buick LaCrosse Drive Experience,” was an opportunity to take a road trip with a guest, from Philadelphia, PA. to Washington D.C. and experience a tour of the Smithsonian National Museum of African American of History and Culture (NMAAHC) located in D.C. When I received the invitation from Lester Booker Jr., GM’s Assistant Manager, Diversity Communications, I was extremely excited at the opportunity because I had not yet experienced the museum since its opening in September 2016. I was anxious while flying to Philadelphia on Thursday afternoon. The storm that had just hit the East coast had me thinking about the conditions on the road. I have taken road trips mostly from Los Angles to Las Vegas, but never have I driven from Philadelphia to Washington D.C.
Lester knew I was nervous and got a good laugh, knowing I'm an L.A. guy with no knowledge of my bearings. We arrived by flight to Philadelphia late Thursday night. The next day I met Lester and his GM team members, Tyler and Mark, in the lobby of our hotel. They escorted my guest and me outside to receive the keys to the Buick LaCrosse. 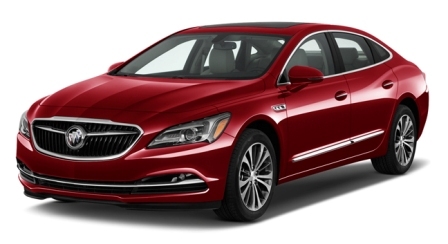 The Buick was a red full-size sedan vehicle. I really liked the front grill of the car and how low the vehicle sat to the ground. The inside was very spacious. The back seats were roomie and capable of seating three or more adults. The features of the car were fully loaded, equipped with had leather interior, dual sliding sun roof, On-Star, internet access, Sirius XM and Apple car play. The car had a luxurious feeling and a smooth ride. The Apple car play was my favorite feature. My iPhone has all the bells and whistles so once I hooked it to the vehicle by USB cable, my phone could be accessed directly from the touch screen panel. I also enjoyed the quiet tuning feature that made the outside car noise extremely low compared to most vehicles I have driven. I love the fact that the 2017 Buick LaCrosse has blind side warning lights on the two side mirrors. Most accidents happen when we do not see people in our blind spots, so that was an awesome and safe feature to have during the road trip. Before we hit the highway to D.C., my guest convinced me we needed to try a real Philly cheesesteak. We asked around and got an address to a well-known place called, “Jim’s Steaks,” located at 400 South St. in Philadelphia. And let me just say that Jim’s Philly cheesesteak was off the chain! The wall of the restaurant was filled with autographed pictures of celebrities who ate at Jim’s Steaks. It’s truly a Philly gem if you ever have the opportunity to eat there. After eating the phenomenal Philly Cheesesteak, we decided to visit the Liberty Bell Center and Independence Hall, to soak up some history. I had planned to visit the Philly African American Museum but unfortunately it was closed. I learned that following the Civil War, the Liberty Bell became a symbol of national reunification, at the same time that basic civil rights were systematically denied to people of color. While the Bell traveled the nation as a symbol of liberty, intermittent race riots, lynchings, and Indian wars presented an alternative picture of freedom denied. I also learned that Independence Hall was where both the United States Declaration of Independence was written and the United States Constitution were debated and adopted. Walking the grounds was empowering knowing, our nation was founded on this land. Once we left Philly on Thursday, we were finally off to D.C. The drive was a little under three hours. Throughout the trip, my guest and I talked and reminisced about life. Something about a road trip that brings out bonding time and we did lots of that throughout the journey. Most noticeable was the Buick's great gas mileage, and not having to refuel during the drive. The next morning, we met the other guests and were off for a tour of the National African American Museum of History and Culture. Little did I know this was going to be one of the best experiences of my life. The tour was phenomenal! Every Black person and every American should experience this museum. “In order to know where you’re going, you have to know where you came from.” I always heard the saying but now I have a true understanding of its meaning. The National African American museum is a journey of Black life before Africans were brought into slavery in America. It dates back to when we were kings and queens, to later becoming enslaved and ultimately receiving freedoms during Reconstruction and the Civil Rights Movement. America experienced a swell of major social, political, and economic changes since 1968. The museum showed us that the African American story transcends a single community and shapes all those who call themselves Americans. The information that was most impacting and hard hitting, informed us that mothers sacrificed their children rather than allowing them to become enslaved or sold on auction blocks. I teared up thinking about the terror and that my ancestors had to endure such pain and strife. The museum showcases the actual casket of Emmitt Till, a Black teenager who was lynched in Mississippi, at age 14, after being falsely accused of flirting with a white woman. His mother left the casket open at his funeral so the public could see the egregious actions the killers did to her son. The National African American museum is a journey from the bottom to the top. As you embark on the journey of Blacks, you rise floor-by-floor, symbolizing rising to the top and out of turmoil into freedom. You witness how magnificent we are as a people. How resilient, brilliant, strong and brave we are. You name it we are “it”! The tour helped put things into perspective. Black people in America have never settled for less than what we knew we deserved. We were determined to be free, and in these trying times we must continue to push further to fulfill the destiny our ancestors fought so hard for and many died for. This is why the Black Press is critical to American history and to our current nation at large. We tell the story of our struggle and highlight the triumphs and victories. I tell people my goal is to educate, empower, inspire and inform. If I do one of these four things I am doing my job. We are embarking on the 190th anniversary of the founding of Black Press. The National African American museum highlights the founders of the Black Press, Samuel Cornish and John Brown Russwurm. These ground-breaking pioneers started the first the first Black newspaper called Freedom's Journal in 1827. As I left the museum, I felt a strong bond with my tour group but more importantly I felt a strong renewed bond to myself. I was recharged, rejuvenated and ready to do the work that God has Blessed me to do. I want to thank the GM Diversity team, Leslie Gordon, Lester Booker and Tyler Lehner. I would also like to thank Dana Harvey and Nina Parker of Verve360, for helping to put on such a wonderful journey and experience. The weekend came to end with wonderful dinner and taped discussion hosted by Ed Gordon. The guests and I discussed our road trip experience and how the journey to and through the National African American Museum of History and Culture made us feel. I shared that it made me feel empowered with a sense of pride I have never felt before. When we left D.C. I could only think of when I would return. I miss the museum already but at least I have a lasting experience, thanks to the 2017 Buick Lacrosse.